Artists, scientists and other intellectuals now can protect their copyrights and reduce taxes with ICD Fiduciaries Intellectual Property offshore solutions. 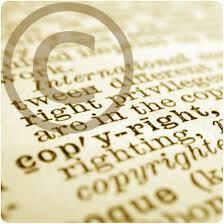 To protect your intellectual property rights we offer you to establish an Intellectual Property Office. It helps you to get the right protection system for your creations and inventions. Intellectual property can be a brand, a design or other intellectual creation. Such creations might be sold or bought. By obtaining the right balance between the interests of innovators and the wider public interest, the goal of the intellectual property right system is to create an environment in which creativity and innovation can be developed. After achievement of the rights, the offshore company can enter into license or franchise agreements with companies whose are interested in using those rights. Trade secrets (in some jurisdictions). With ICD Fiduciaries, we will suggest you to the most appropriate jurisdiction for your expectations. In addition to this, we carry out all the procedures necessary for the establishment and smooth running of your offshore company. Contact our specialist for more detailed information !